Heather is an experienced legal advisor and trial attorney at Otorowski, Morrow & Golden, PLLC. 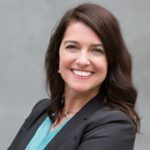 She brings with her over fifteen years of experience as an individual and corporate defense attorney, including representation of doctors, clinics, and hospitals under government investigation for various wrongdoings. Heather’s defense background serves as a unique and valuable asset in her representation of plaintiffs in medical negligence cases. Heather considers practicing law to be a great honor. Along with her winning personality, she is passionate in her representation of people who have suffered injuries and in her pursuit of justice. Heather is known for her gentle yet powerful advocacy style, having dedicated her practice to integrating the human experience into an otherwise rigid legal system. She has a strong and unwavering commitment to her clients. Heather is a member of the American Association for Justice and the Washington State Association for Justice. She is part of various state and national litigation groups to include medical negligence, nursing home litigation, and birth trauma, and has participated in several state and national conventions on these and other advocacy issues. Heather has spoken locally and nationally on areas of government investigation and is zealous in her representation of clients injured by medical negligence. When not at the office, Heather enjoys yoga, sailing, and spending time with her husband and three children.